Welcome to LBJ Girls Soccer! 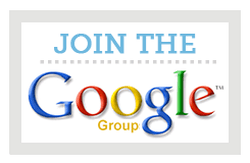 All parents are encouraged to join the booster club Google Group, as it's the primary form of communications. Click on Google Group link on this page or go to https://groups.google.com/forum/#!forum/lbjgirlssoccerbooster. Contact the booster club anytime at lbj.girlssoccer@gmail.com. It's time to celebrate the Jags soccer season. All Lady Jags and families are invited to the end-of-year banquet for a delicious dinner, special recognitions, and slide show. The cost of each player’s meal will be covered by the Booster Club as long as the RSVP is provided. Family and friends are $25 per adult and $15 for children ages 5-10 (4 and under are free). Payment (for family and friends) is due by Wednesday, April 17, 2019. We are still working out the payment process and will send an email soon. Contact lbj.girlssoccer@gmail.com with questions. See you all there! Paper order forms and online orders turned in by Friday, February 22, 2019 will be delivered to Coach Ticknor together. Orders after that date will be delivered as received. Turnaround for jackets is about 8 weeks. ​Help support the LBJ girls soccer program through volunteering as a booster club officer! We have a team of helpers so it's not a big commitment. Nominations are being taken for the positions below. Voting will take place at the end of year banquet. Contact lbj.girlssoccer@gmail.com asap if would like to add your name to the nomination list! Click here for the 2019 schedule and links to fields.